At Back Track Adventures we are passionate about adventure travel – and we’re even more passionate about taking you to adventurous destinations around the world. Established in 1984, Back Track Adventures has been sending clients on holidays around the world for 30 years. Back Track Adventures are acknowledged within the ‘Adventure Travel Industry’ as a leader in retailing Adventure Holidays. With our expertise, we can take you to just about any corner of the world. Matt and Leanne have recently returned from icy adventures to the Polar and Antarctica regions and would love to share their insider knowledge. We offer our clients the highest levels of service and value with flight arrangements, and all the specialist services expected from a fully licensed and accredited Travel Agency. Above all, our advice to you comes from consultants who know what travel is all about in the world’s most exotic locations. We are here to help in arranging the best holiday of your life and creating magical new memories. In the 1980s, the Adventure Travel Industry was only a small part of the worldwide travel scene. From those very early years, Back Track Adventures has played an important part in the marketing and sales representation of leading domestic and International brands, and many are worldwide leaders today. They include Tailwinds Bicycle Touring Company, African Wild Life Safaris, Peregrine Adventures, Alpine Guides, The Imaginative Traveller, Truck Africa, Encounter Overland, Worldwide Adventure Travel, Dragoman, GAP, Outback Camel Company, Guerba, Exodus and Classic African Safaris. 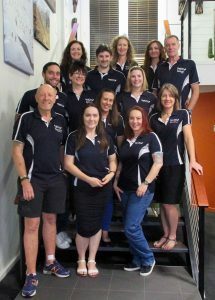 Back Track Adventures is a privately owned, Australian, specialist travel company, and have been involved in the adventure travel industry for 35 years. We are proud to work in partnership with the some of most highly respected Polar Tour Operators in the world. We have been sending clients to the Arctic and Antarctica since the mid-90s when travel became available to more than just scientists, research personnel and explorers. Back Track Adventures are Arctic and Antarctic Travel Specialists, and can offer first-hand experience. Our commitment is to ensure you have the best Arctic experience possible. Save time: we know all the Arctic operators, their ships and what they offer, and can help you compare. With Back Track Adventures, choosing the right trip is easy. Save money: up to date pricing on our website, the best deals and latest updates on special offers from all the Arctic cruise operators. Be properly prepared: our experience and knowledge will prepare you for your Arctic adventure. Deal with people who care: we are passionate about the happiness of our clients. If you choose us to help with your travel plans you can be confident that we will look after you. Back Track Adventures aims to provide value and quality, service focussed and informative travel. As Gandhi said, “our customers are the reason for our existence.”–which sums up the Back Track Adventures approach perfectly.